Ask An Expert: Is Mormonism a religious system according to Clifford Geertz? Q: Is Mormonism a religious system according to Clifford Geertz? A: Several members of the MSSA replied to this message. This is not a simple question, although it appears to be so. A simple, answer, however, acknowledges the complexity while recognizing that Geertz’s focus on systems of symbols, “pervasive, long lasting moods and motivations” and “aura of facticity” were used by Douglas J. Davies in his the Mormon Culture of Salvation to great effect. Yes, Geertz’s definition can fit Mormonism. However, a more critical look at the definition, that takes into account problems with the notion of symbols and their formation, power, the difficulty of system, breaks in pervasiveness, and problems with perceptions of facticity as are also found in anthropological work, can also be used to make sense of Mormonism. The question, however, asks if it is a religious system according to Geertz. Well, that is more difficult because Geertz is focusing on system as defining religion and not religion as defining system. Mormonism has system and it functions as a religion. Despite the analytical concerns here, I would still argue that Geertz’s definition productively fits Mormonism. Douglas J. Davies. 2000. The Mormon Culture of Salvation. New York: Routledge. Q: What percentage of Mormons regularly participate in temple worship? Q: I am wondering – do you have any figures (or educated estimates) on the percent of Mormons who attend temple regularly? A: Several members of the MSSA responded to this question. In the United States in the late twentieth century, LDS members have higher rates of marriage and lower rates of marital dissolution than the national population (see Divorce; Marriage). Marriage patterns vary in different areas of the Church (Fig. 15). Marriages performed in LDS temples are the LDS ideal. The percentage of adults in a temple marriage varies from about 45 percent in Utah to less than 2 percent in Mexico and Central America. Temple marriage is relatively common among Latter-day Saints throughout the United States and Canada but is relatively rare in other areas of the world. Marriage outside the temple is about as frequent as temple marriage and is the most common form of marriage outside the United States and Canada. In some areas, a significant minority of marriages involve one partner who is LDS and another who is not. These interfaith marriages involve only about 5 percent of the membership in Utah, Mexico, and Central America, but reach nearly 20 percent in other parts of the United States and in Canada. There are more than twice as many LDS women as LDS men married to spouses of another faith…. The distribution of households does not fit any uniform pattern across countries. The idealized vision of a family with a husband and wife married in the temple and children present describes only one out of five LDS families in the United States and less than 3 percent of LDS families in Japan. Based on the above information, it is highly unlikely that the percentage of Mormons who regularly participate in temple worship could be above 50% and is likely somewhat below 50%. Religious affiliation was based on self-identified religious preference rather than on a statistical sampling of church membership records. The Pew study misses individuals who no longer consider themselves Mormons but are still counted as members by the LDS Church. The results are relevant for self-identified Mormons, but cannot be extrapolated to overall membership figures, which include large numbers of disaffiliated individuals who no longer identify the LDS Church as their faith of preference. LDS member activity rates in North America are known to be in the 40-50% range, with many semi-actives included in that figure (see here), whereas 77% of Mormon respondents on the Pew survey claim to attend church at least once weekly. Again, the Pew study heavily oversamples the most active Mormons while undersampling less-active or disaffiliated members (precisely because such individuals are less likely to identify themselves as Mormons). Prior Pew studies, which served as a basis for re-contacting prior Mormon respondents, have demonstrated a skew not representative of the overall LDS population as claimed on church records. For instance, the 2008 Pew Forum Religious Landscape Study reported that only 23.5% of self-identified US Mormons were converts, whereas cumulative demographic data, birth rates, and historical convert baptism rates all suggest that converts should comprise at least 50% of North American LDS membership. This discrepancy correlates with other data suggesting that at least half of North American converts have become disaffiliated. I have dealt with several additional methodological issues with prior Pew survey here. Another way to look at these sampling issues is to observe that in contrast to traditions such as Catholicism where individuals may strongly identify with the faith without actively participating, LDS membership is more polarized between active members who identify themselves as Mormons and non-participating members who no longer consider the LDS Church their faith of preference, with only a relatively narrow stratum (primarily in the “Mormon Cultural Region”) of individuals who identify themselves as Mormons but do not regularly participate. Self-reported data among US Christians has widely been found to over-report perceived desirable religious behaviors on matters such as church attendance (38-44% of Americans claim to attend church weekly but only about half are actually there) and tithing (nearly three times as many American Christians claim to tithe as actually do so; see here). It is a bit of a running joke, and not without evidence, to state that when people tell you how much they drink or smoke, you double it; when people tell you how much they go to church, you cut it in half. While one hopes that Latter-day Saints may be more candid in self-reporting their behaviors than their neighbors of other faiths, it seems unlikely that studies of Mormons are totally exempt from the over-reporting of religious behaviors. Indeed, the same current Pew study that claims that 65% of Mormon adults hold a temple recommend also found that 79% of Mormons claim to pay a full tithe and only 1% are partial tithe payers (Pew p.39). I do not believe that this finding is likely to be considered credible by anyone who has served in a LDS bishopric or as a ward clerk. The study only refers to US Mormons. International LDS members demonstrate significantly lower overall participation and temple attendance rates than US members (references above); US data cannot be extrapolated to the worldwide church. So how many Mormons attend the temple regularly? The LDS Church does not release specific data, but what we know about activity rates and member participation can reasonably suggest upper and lower brackets. With LDS activity at about 40-50% in North America and 65% of self-identified Mormons claiming to have a temple recommend (remembering that most non-participating Mormons do not identify themselves as Mormons, and that perceived desirable religious behaviors seem to be significantly exaggerated), it is difficult for me to see a figure above one-third of LDS adults holding an active temple recommend as realistic, and the actual the number may be slightly less. It is also generally known that only some fraction of recommend holders attend regularly (anecdotally perhaps one third or fourth, although I have no certain idea). Overall international rates are likely to be not more than half of U.S. rates, given the preponderance of LDS membership in nations with relatively low activity rates (detailed country reports here). I have no systematic data on this subject. However, during the past two decades I have had callings in several western wards that have permitted me to know how many ward members held recommends, and I have compared notes with friends in other wards having similar first-hand knowledge. From these experiences, I would say that the proportion of LDS adults holding temple recommends is closer to 1/3 than to 2/3, at least in the American west. I would just point out that there is a great deal of variation within the United States. 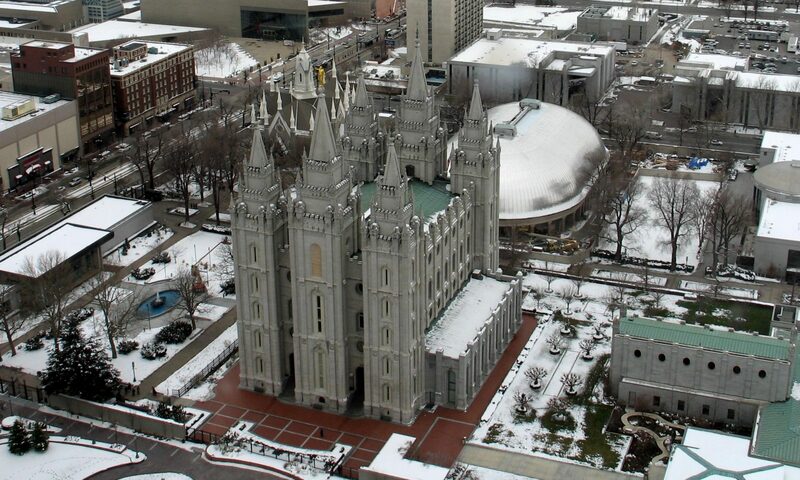 The core of the LDS Church, of course, remains along the Wasatch front (in Utah), but also parts of Arizona, Idaho, Alberta, and some areas of California. In other areas, the numbers of temple recommend holders, tithe-payers, attenders, etc. are far less than in the core. Based on the above information, it seems likely that the highest rates of temple attendance among Mormons are in the Mormon heartland – the Wasatch Front and other parts of the Intermountain West. The percentage of Mormons who regularly participate in temple worship in that Mormon heartland is unlikely to be as high as the percentage noted in the 2012 Pew Survey – 65%. Given the methodology of the survey, that number appears to reflect the behaviors of highly engaged Mormons. The other data provided above suggest that the real number is much lower than the Pew number, perhaps as few as 25% in the U.S. and much lower outside the U.S., but an exact number isn’t known.